Todd offers hour long clinics, either targeted especially for string, wind, percussion, jazz or ethnomusicology students, and music appreciation for the general student population. 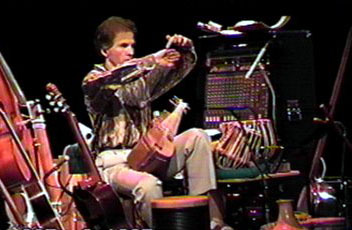 In these clinics, Todd relates the instruments both culturally and historically as well as to familiar Western instruments and explains and demonstrates native rhythms and scales used in many different cultures worldwide, with emphasis on the Middle East, Central and South Asia, Far East and South America. Todd is consistently praised for his in-depth knowledge of the history and theory of the cultures and their instruments, as well as the ease with which he communicates this knowledge.